The U.S. official who was in charge of relief efforts following Haiti’s devastating Jan. 12 earthquake has accused a major contractor of shortchanging him for his assistance in securing more than $20 million in reconstruction deals after he left his post. Lewis Lucke, the former U.S. special coordinator for relief and reconstruction, says the Haiti Recovery Group Ltd., did not pay him enough for consulting services that included hooking the contractor up with powerful people and helping to navigate government bureaucracy. He’s owed nearly $500,000, according to a lawsuit he filed last month in his home state of Texas, a copy of which was obtained by The Associated Press. Lucke’s lawsuit names the Haiti Recovery Group’s two partners: Ashbritt, Inc., a contractor based in Pompano Beach, Florida, that specializes in the removal of debris left by natural disasters; and the GB Group, a conglomerate run by one of Haiti’s wealthiest men, Gilbert Bigio. 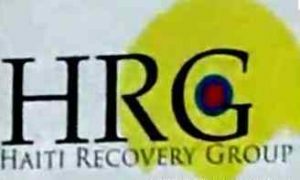 The Haiti Recovery Group filed a motion on Dec. 13 to transfer the case to federal court, but has not yet filed a response to the allegations. Ashbritt CEO Randal Perkins, who has been the partnership’s spokesman, declined comment Friday in an e-mail to the AP. Lucke, a former U.S. ambassador to Swaziland who is now a consultant in Austin, Texas, said he could not discuss pending litigation and referred questions to his lawyers, who did not respond to interview requests. The dispute involves two of the most prominent players in the international response to the devastating earthquake. Lucke, a 27-year veteran of the U.S. Agency for International Development, oversaw the massive American aid effort as the Caribbean country reeled from a disaster that killed an estimated 230,000 people, destroyed more than 100,000 homes and paralyzed the Haitian government. Perkins, an outspoken businessman who scored $900 million in cleanup contracts after Hurricane Katrina, came to Haiti shortly after the quake to position his company for a role in the more than $10 billion reconstruction. He has been one of the few contractors to grant interviews with the news media, proudly displaying a sleek fitness center- and infirmary-equipped corporate compound in Port-au-Prince, and declaring that he had invested $25 million before scoring a single deal. Lucke, appointed to his temporary Haiti coordinator role by USAID, finished his work and returned to Texas. He says in his suit that Perkins then contacted him for assistance in understanding how contracts are allocated as well as for introductions to key officials. They signed a consulting contract on May 13 — less than two months after the former ambassador left Haiti — that set his pay at about $30,000 per month, with additional incentive payments if Haiti Recovery Group met specific contracting goals. He received two monthly payments but then Perkins sent him an e-mail abruptly terminating the agreement around the time that the Haiti Recovery Group received the Haitian government’s first major debris-removal contract, worth an estimated $10 million, according to the suit. In the e-mail, which Lucke attached to the lawsuit, Perkins wrote Lucke on Aug. 27 to say that his contract was being immediately terminated following a discussion among the Haiti Recovery Group partners about their long-term strategy in the country. He held out the prospect of future work. The incentives under the contract provided he would be paid a bonus if the HRG earned contracts worth more than $6 million. Lucke says he is owed about $492,483 as well as attorney’s fee for the breach of contract.